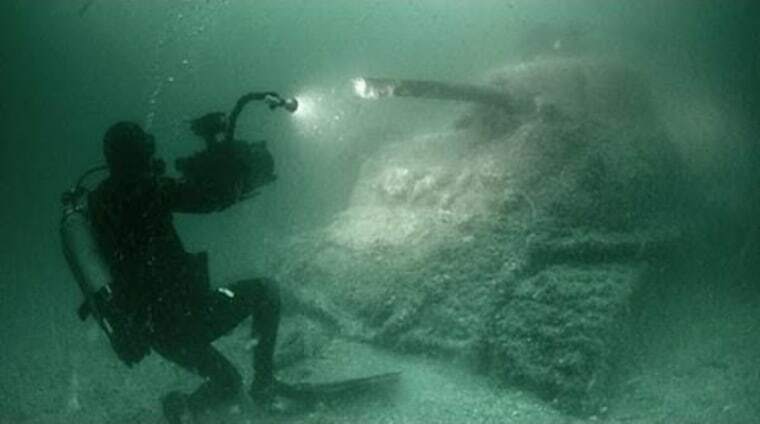 Seventy years after D-Day, some of the hardware that made the Allied invasion of Normandy possible still exists, in the form of hundreds of sunken wrecks off the coast of France. Those underwater artifacts — and the World War II veterans who knew them best — return to the spotlight in "D-Day's Sunken Secrets," a documentary premiering Wednesday as part of PBS' "Nova" documentary series. To set the stage for the show, the French-American film crew used the "latest and greatest in sonar" to map 250 square miles of the seabed bordering Normandy's beaches, said Doug Hamilton, the program's producer, director and writer. "Most of the wrecks sunk after D-Day," he told NBC New York. The first assault on June 6, 1944, was followed up by a steady stream of ships, landing craft, tanks and other heavy equipment supporting the eastward push. Much of that hardware never made it to shore. The filmmakers use the underwater remains of D-Day and its aftermath to help viewers understand "how innovations in science, technology, engineering and mathematics were critical to the Allies' success," Paula Apsell, senior executive director for "Nova," said in a news release. But the show doesn't stop there: Several D-Day veterans were taken down in small submarines to the wreckage — in some cases, to the very ships they rode until they were sunk by the Nazis. One of the vets featured in the show, 88-year-old Bill Allen, was one of only 28 people who survived when their landing ship tank was hit by a German mine. Hamilton said some of D-Day's vets are only now telling the stories. "Now that they're up there in years, now that there has been a fair amount of recognition of their time there, they're a little more confortable talking about it," he said. Check local TV listings to find out when "D-Day's Sunken Secrets" is airing on your PBS station.